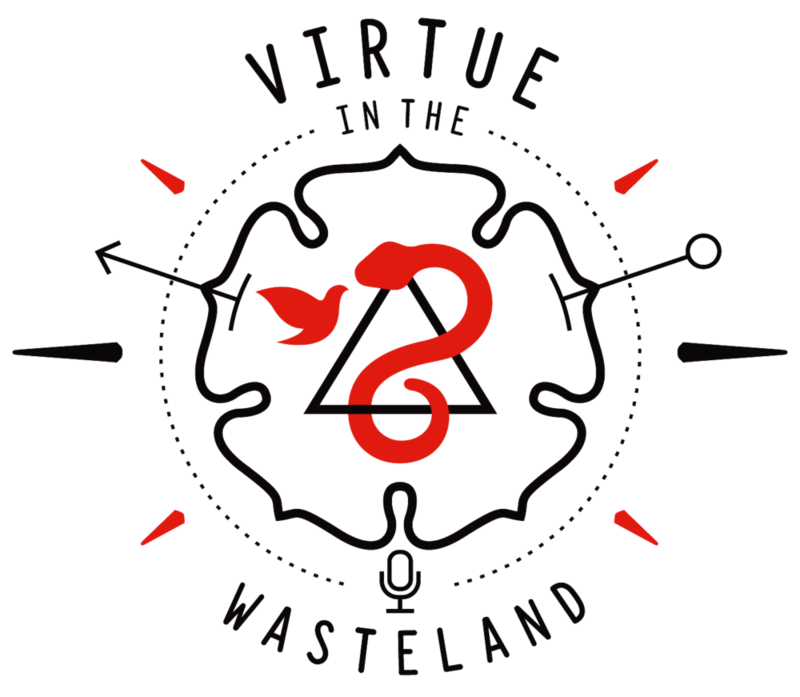 It is with a twinge of sadness and yet a sense of peace that we will be ending the Virtue in the Wasteland weekly podcast. We are grateful for the opportunity to have been a part of your lives, your conversations, and your commutes. Thank you for being a part of the expedition with us. We are not ending the show because of some disagreement or creative friction. Rather, we are closing this chapter of our lives to begin new projects and redouble our efforts on some of our other current projects that have emerged through the conversations we’ve had together and with you over the last six years. We have loved processing through ideas and complex cultural issues through the show, but we have come to realize that the nature of ViW--exploring the fringes and tension filled areas of religion and culture--is something we have teased out enough for us to develop new directions for how to help address the concrete needs of our cultural wasteland. We are excited by the number of people who have told us that they began podcasting, in part, because of our show. We love hearing that the conversations we have started are still echoing through dorm rooms and apartments and in conversations over dinner or drinks. We are glad that people have passed on the rumor and the hope that everything is going to be ok.
We are not going to just fade out, friends. In fact we would love to close out the show with you, the listeners. So- listen in to the next two episodes and help us celebrate the end of an era. We will share with you some of the new projects that we have on the horizon and we will answer your last ever burning questions! For our final shows, we will be releasing a two-part finale. 1. February 11. All Good Things: Jeff And Dan talk about the announcement and discuss what they learned on 6 years of podcasting, make analogies from good and bad break ups, and invite all of our listeners, past and present to tell us, for the last episode, what they learned. So, get ready for some fun as we go out with a bang. You can call 844-393-0012 to leave a 60 second message and/or go to Facebook or Twitter @viwpod to get involved! We are looking forward to this time of celebration and also change. While the ViW project, as a weekly podcast is coming to an end, the two of us remain committed to working with each other in the future. As we transition into new projects we will keep you updated about new endeavors. Dan and Jeff plan to collaborate in the future and welcome collaborative ideas with others so stay in touch (note the links below). To keep up with new developments in the months to come, check out the links below. Please keep in touch. Do you have questions about a show you’ve listened to? Chances are that we have too! We are constantly playing with ideas and trying to understand the complicated world without resorting to lazy answers. Would you like to have us come to your organization or conference to speak? Want to just say “hi”and give us a virtual high five? Contact us at Danv @1517legacy.com.